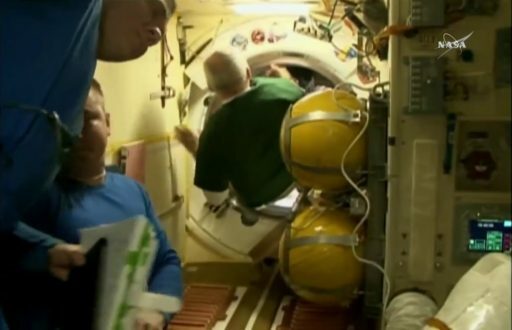 Swapping the comforts of the spacious ISS for the confined quarters of their Soyuz, the three crewmen are aiming to make one and a half orbits of Earth before Soyuz hits the brakes to set up for an early morning landing in south-central Kazakhstan. 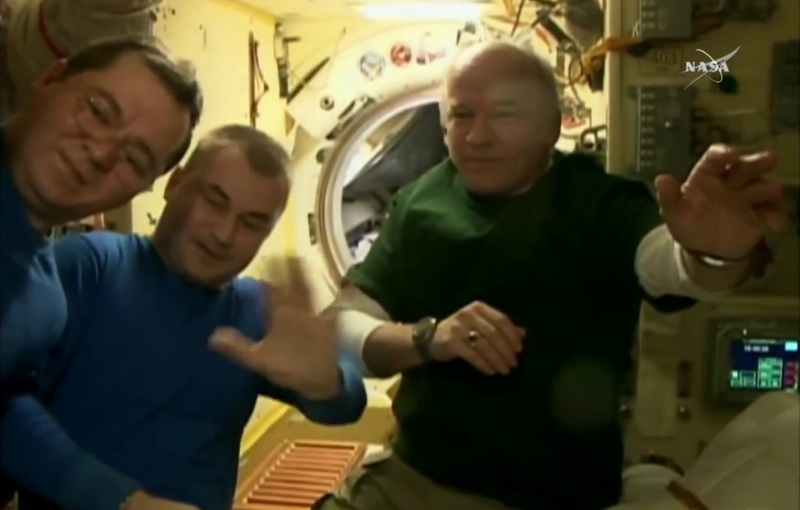 Soyuz Commander Alexey Ovchinin and Flight Engineers Oleg Skripochka and Jeff Williams bid farewell to ISS and their fellow crew members at 18:42 UTC on Tuesday, closing the hatch to their Soyuz spacecraft. 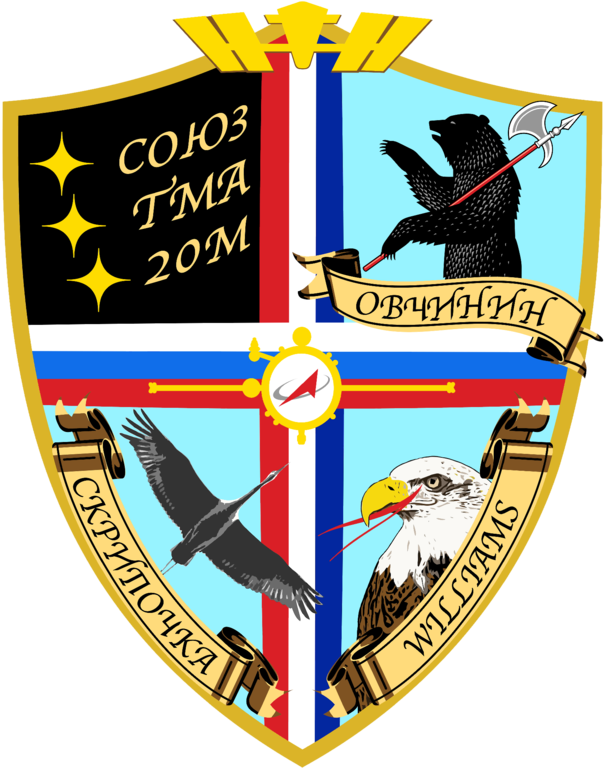 The last of the TMA-M series to fly, Soyuz departed ISS at 21:51 UTC to set out on a two-and-a-half-hour free flight prior to the precisely targeted deorbit maneuver for a parachute-assisted landing at 1:13 UTC on Wednesday. The three crew members look forward to landing on a beautiful late summer morning in the Kazakh steppe. Sunrise occurs less than half an hour before the crew touches down, skies are expected to be clear, winds calm and temperatures will already be around 20°C when ground crews will open up the Soyuz hatch for the crew to get a breath of fresh outside air for the first time in five and a half months. Landing targets the Southern Landing Zone with the bullseye marked 148 Kilometers south east of the town of Dzhezkazgan. 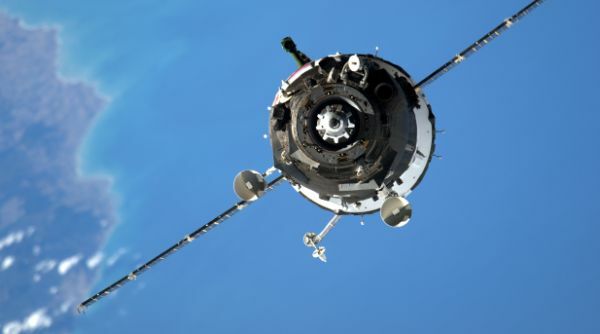 The missions shifted to the southern area due to ongoing harvesting activities in the north and the Soyuz crew was informed that their spacecraft may cause a short-lived fire at the landing site due to a persistent drought in the area. Wrapping up their five-and-a-half-month mission to the Space Station, the three crew members spent that last three weeks preparing for their overnight return – packing the Soyuz with disposal and return cargo, putting their spacecraft through a series of tests, practicing the landing sequence and verifying a good fit of their suits and seats. They also adjusted their exercise regimes to help prepare for the return to gravity. Expedition 48 commander Jeff Williams handed command of ISS over to Russian Cosmonaut Anatoli Ivanishin on Monday and thanked all teams on the ground for the support during Expeditions 47/48, a busy Station increment that saw the addition of the expandable BEAM module and International Docking Adapter 2 as well as a number of visiting vehicle moves. 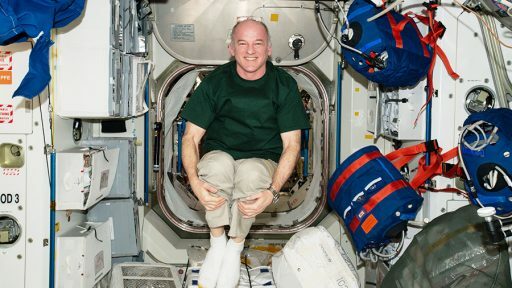 Williams put emphasis on the Station’s future, “going into the full utilization mode, being the orbiting laboratory we’ve always said it was going to be.” As one of only a few Astronauts, Williams was able to visit the Station back in 2000 when it was in its very early stages of assembly, and again when at its full utilization stage, giving him a unique point of view on developments aboard the orbiting outpost. On Tuesday, the Soyuz crew cleared out their crew quarters and the TMA-20M spacecraft was activated for a last round of checks and reconfigurations. The crew had a long mid-day sleep period to catch some rest ahead of an overnight return to Earth and the joint crew took the time for a meal inside the Service Module before getting ready to part ways. While the crew in orbit was in the midst of their departure preparations, a 300-strong recovery team mobilized in Kazakhstan, beginning the deployment to the primary landing site as well as the ballistic site 450km short of the bullseye target. Helicopters and fixed-wing aircraft have been pre-staged in Karaganda, Dzhezkazgan & Baikonur while ground-based vehicles are ready to head out to the landing site from staging locations closer by. 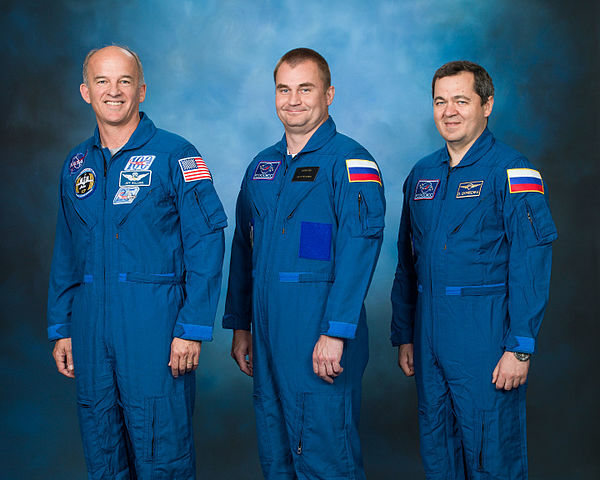 Part of the recovery team are members of RSC Energia and Rosaviatsiya specialists who can locate and recover crews at all times of day and in adverse weather – skills that will not be needed for Soyuz TMA-20M. Also part of the recovery team are representatives of NASA and Roscosmos to attend to their respective crew members after touchdown. 12 MI-8 helicopters will get airborne when Soyuz performed its deorbit maneuver to be in place at the primary and ballistic sites at the expected touchdown time with two fixed-wing aircraft acting as communications relay terminal for the Soyuz crew and as airborne command centers. The three departing crew members boarded their Soyuz and closed their followed by the closure of the Poisk module’s hatch by Anatoli Ivanishin moments later to permit the standard leak check to begin. While monitoring pressures in the docking interface, the three crew members put on their Kentavr Anti-G garments and Sokol Launch and Entry Suits. 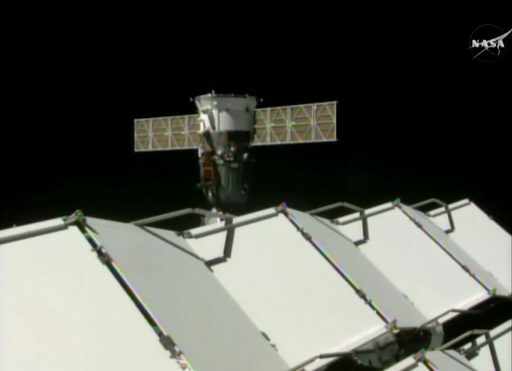 The Orbital Module was closed out as the crew moved down into the small Entry Module, sealing themselves off and conducting leak checks on the internal hatch and their suits. 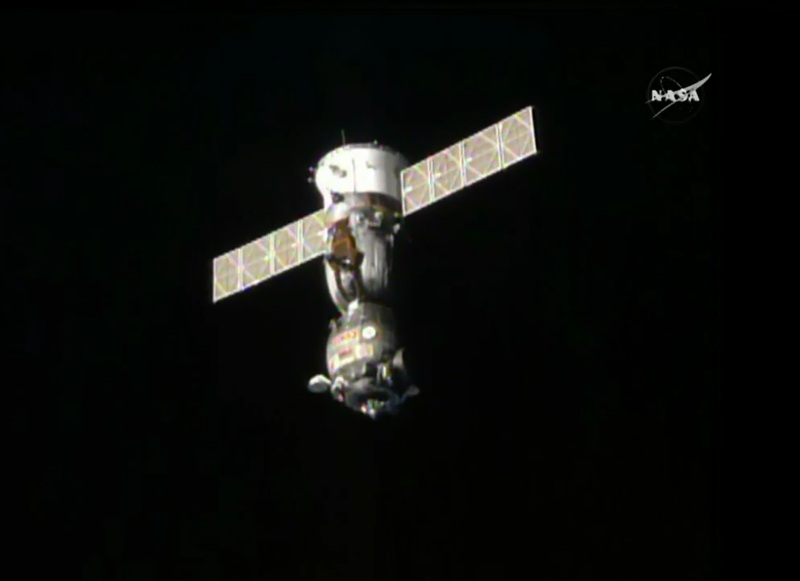 Commander Alexey Ovchinin boarded the center seat of the Soyuz, preparing for his first landing on Soyuz. Interestingly, for Soyuz TMA-20M, both Flight Engineers are vastly more experienced when it comes to actual spaceflight experience on the Soyuz. Flight Engineer Oleg Skripochka, sitting on the left, completed one previous Soyuz mission while Board Engineer Jeff Williams, occupying the right seat, can look back at two previous Soyuz landings. In the Russian crew selection system, Cosmonauts coming from a military background are preferred for the job of commander explaining why Ovchinin as a former military pilot was chosen to command the spacecraft over Skripochka, who flew to space before, but has a background in civil engineering. 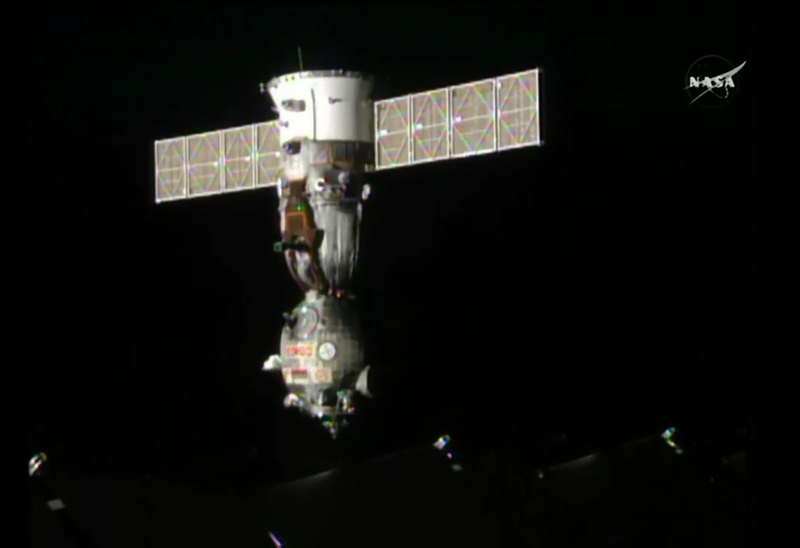 The Soyuz switched to autonomous power and umbilicals within the docking interface were demated to allow hooks on Poisk to be opened so that Soyuz was only held in place by its own hooks with power-up of the docking mechanism occurring five minutes prior to separation. The undocking command was issued 90 seconds ahead of separation, initiating the opening of hooks to structurally demate the Soyuz from the Station so that loaded spring assemblies could push the spacecraft away. 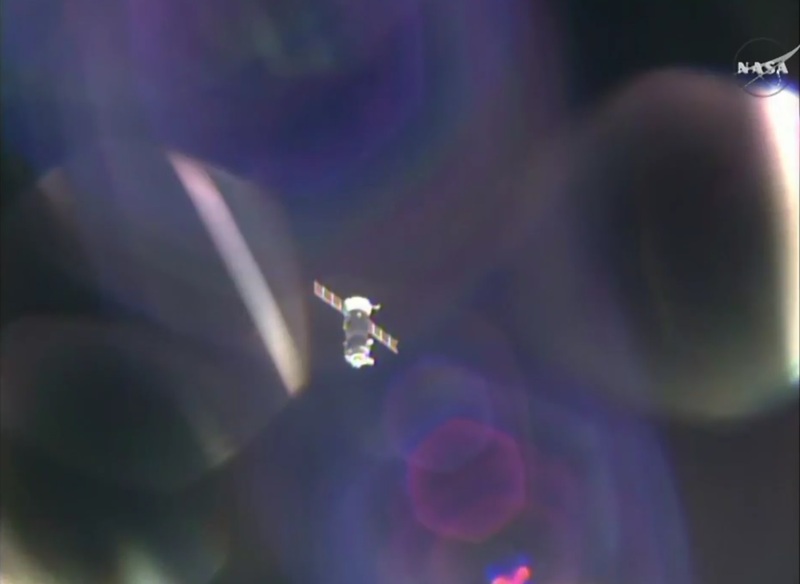 Physical separation was confirmed at 21:51 UTC when Soyuz pushed off ISS to initiate an initial opening rate of 0.12 meters per second. After undocking, Soyuz drifted away for three minutes before re-enabling its thrusters for an eight-second departure burn to accelerate the vehicle’s departure along the R-Bar, flying away from ISS toward the direction of space. Next was a rapid roll maneuver that repositioned the thrusters of the spacecraft for the second departure burn a minute and 20 seconds after the first. This 30-second burn delivered a thrust component along the velocity vector to put the Soyuz on its trajectory away from ISS. 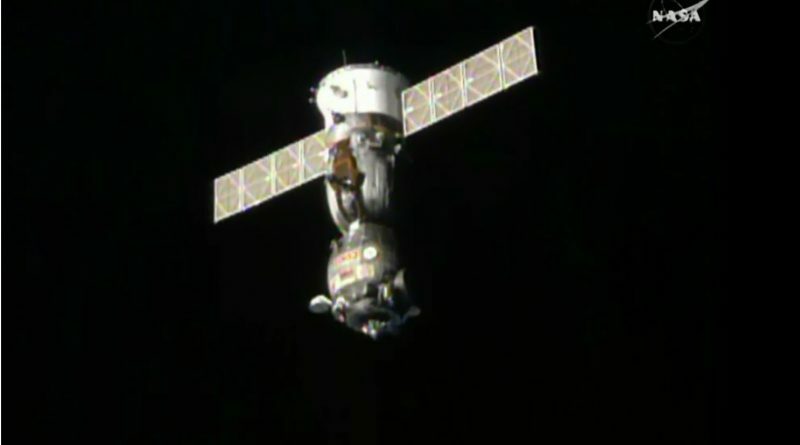 With Soyuz out of the Station’s vicinity, the crew can relax for one and a half hours before beginning the setup for their return from orbit. Over the course of one and a half orbits, Soyuz will open a 12-Kilometer gap to ISS, but maintains a VHF link used to relay communications between Mission Control and the spacecraft. To begin the preparatory steps for the deorbit burn, the crew activates the accelerometer of the vehicle and connects the Entry Module batteries to the power bus. Burn parameters stored in the digital flight control system will be verified and the crew will watch over the re-orientation that points the tail end of the Soyuz toward the direction of travel ahead of the opening of the main engine cover. Ignition of the SKD main propulsion System is set for precisely 0:21:25 UTC for a burn of four minutes and 41 seconds, designed to slow the Soyuz by 128 meters per second. 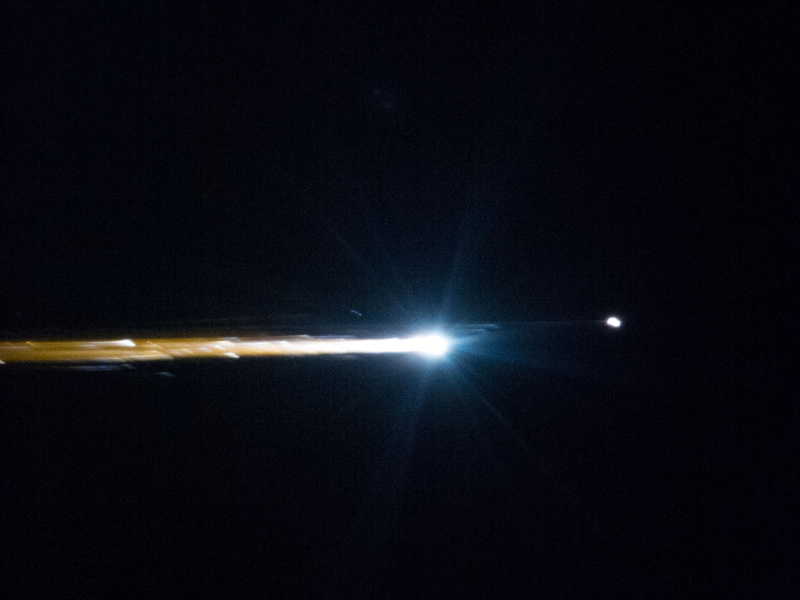 Hitting the brakes, Soyuz will place itself onto a precisely calculated trajectory intercepting the dense atmosphere. 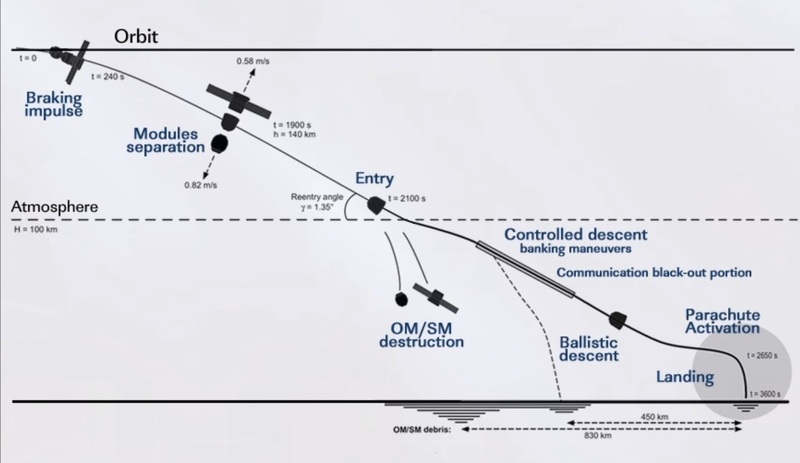 The burn has to be performed very accurately to set up the proper entry angle and ensure Entry Interface occurs within a narrow corridor from where Soyuz can reach its planned landing site. Upon completion of the burn, the crew will close their helmets to get ready for the depressurization of the Orbital Module which is done after Soyuz is committed to re-entry in order to avoid an explosive release of air when the modules of the Soyuz separate. Flying from south-west to north-east, Soyuz will pass over Africa, quickly losing altitude on its way to a speedy re-entry. 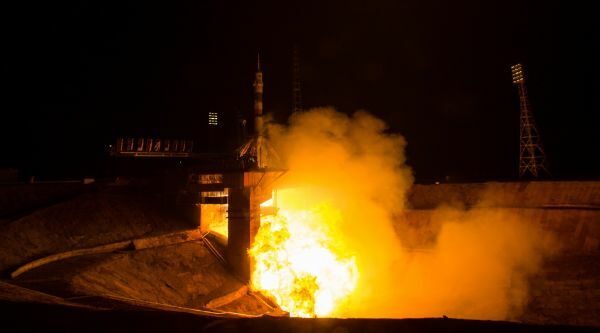 Separation of the modules is set for 0:48 UTC, 140 Kilometers above the Red Sea and accomplished by a series of pyrotechnics that fire in close succession to free up the three modules of the Soyuz. Springs send the modules off into opposite directions so that re-contact can be ruled out. Immediately after the Entry Module is free it will begin using its eight Hydrogen Peroxide thrusters to point its heat shield forward and enter a pre-programmed entry orientation which it will hold during the initial port of re-entry. Soyuz will hit the atmosphere at 0:51 UTC over northern Iraq at a speed of 7.6 Kilometers per second. For the first 93 seconds of re-entry, Soyuz will stick to a fixed attitude before enabling Entry Guidance to modify its lift to fly out any along-track errors and also correct cross-track errors, constantly computing its path to the targeted parachute-opening target. Barreling down in a blaze of plasma, Soyuz will rapidly slow down pulling up to five Gs when flying through an altitude of 40 Kilometers. 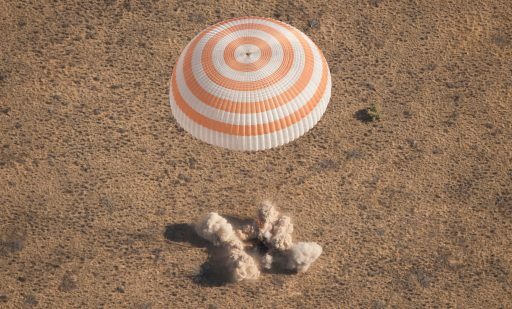 In the dense atmosphere, Soyuz is decelerated to subsonic speed for the opening of the parachutes 10.7 Kilometers in altitude, starting with a pair of Pilot Chutes that pull out the Drogue Chute, violently shaking the capsule for around 30 seconds before stabilizing. Slowed to 80 meters per second, Soyuz deploys its large main chute to transition to a vertical descent and slow down for touchdown. The automatic landing program will command the Soyuz through the separation of the heat shield, the jettisoning of the blackened window covers, venting the Hydrogen Peroxide tanks and equalizing the cabin pressure. Soyuz is aiming for a remote landing site 148 Kilometers south east of the town of Dzhezkazgan and will fire solid-fueled Soft Landing Engines when touchdown is imminent, targeted at 1:13:53 UTC on Wednesday. A 300-person recovery team will be awaiting the arrival of the crew in helicopters, all-terrain vehicles and off-road vehicles to begin rushing to the landed Soyuz craft. 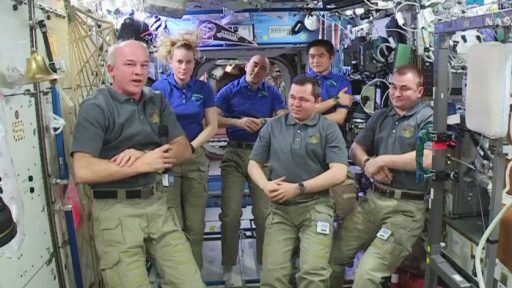 Being helped out of their spacecraft, the three crew members will be greeted by sunny skies, marking the end of a busy space mission of 172 days and 3 hours.